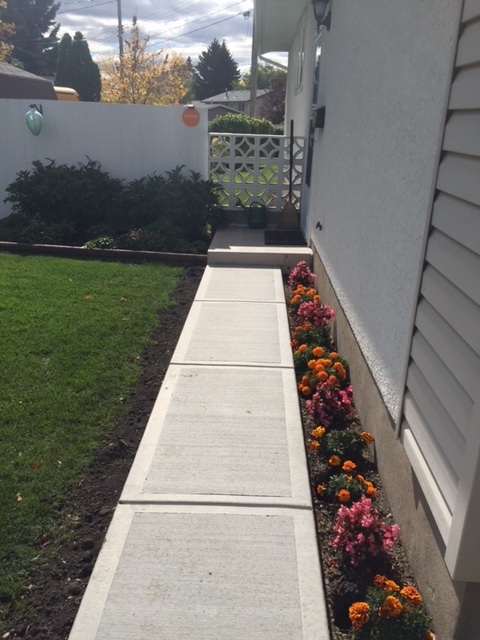 A & V Contracting Ltd. strives to work with our customers to help them achieve their vision. We will help with the design in every way to achieve the look you are wanting, along with making sure that the work is done correctly. 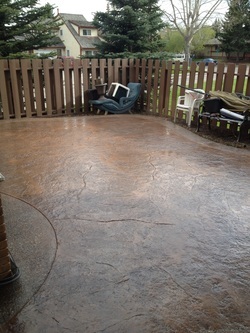 Pattern Stamp concrete is available in a variety of pattern choices and colors. This is a low maintenance choice compared to using field stone or brick to achieve a certain look. Exposed Aggregate is exactly as described. After the concrete has set up, it is sandblasted to expose the small rock. A special mix design is used exposing a more rounded rock which is more aesthetically pleasing. 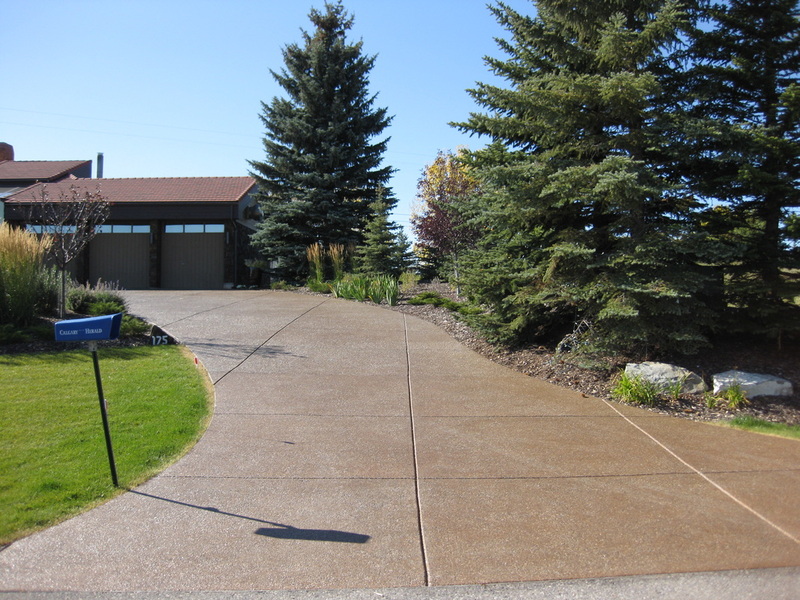 Broom Finish is a standard look for concrete. Broom Finish is found on all city residential sidewalks.